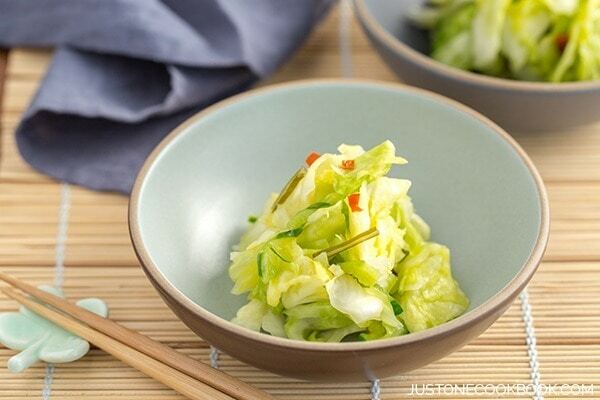 Brined in salt, kombu and chili flakes, this palate-cleansing Pickled Cabbage (tsukemono) makes a perfect accompaniment to a traditional Japanese meal. When we eat Washoku (和食), a traditional Japanese meal with rice and miso soup, we almost always serve a small dish of Japanese pickles called Tsukemono (漬物). 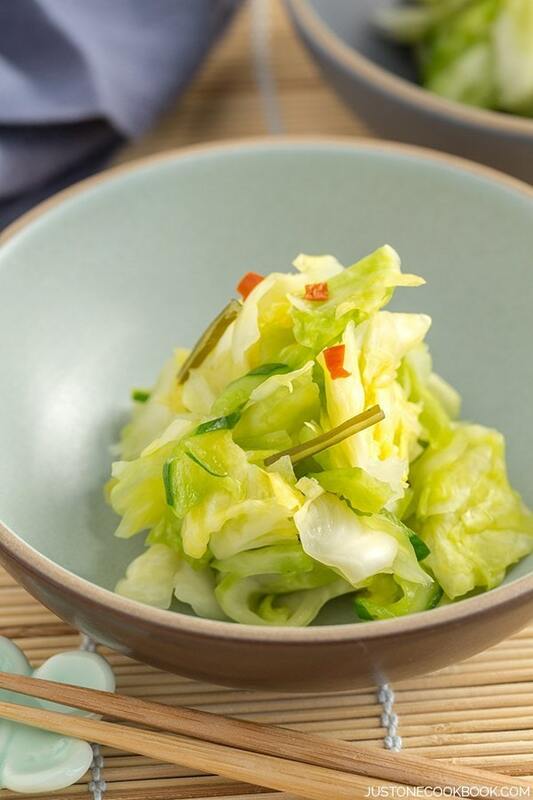 Delicious and crispy homemade pickled cabbage enjoyed with traditional Japanese meal, brined in salt, kombu strips and chili flakes. 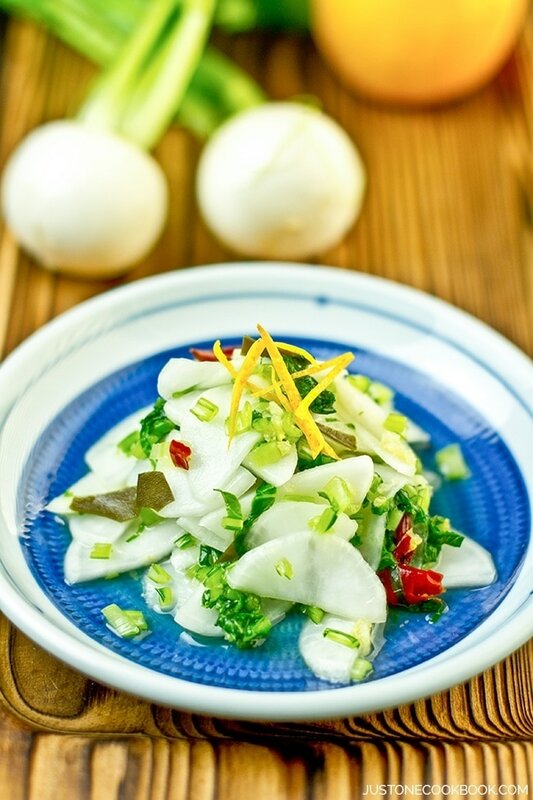 Tsukemono (漬物, literally translates to “pickled things”) are Japanese preserved vegetables that are usually pickled in salt, brine or a bed of rice bran called nuka. During a meal, Tsukemono cleanses the palate and provides refreshment to counter the other flavorful dishes. It also offers color, texture and fragrance to a meal. In fact, it is sometimes also called konomono (Kho no mono, 香の物) or “fragrant things”. 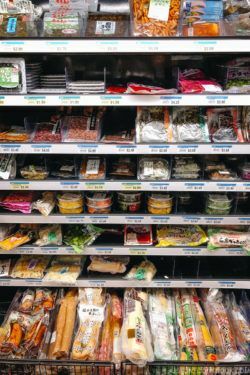 In Japan, all types of tsukemono are available at grocery stores and specialty stores; however many people make Asazuke (浅漬け) at home, which is “quick pickling”. I serve this type of tsukemono with steamed rice and miso soup for my traditional Japanese meals. Among the different types of Asazuke, shio-zuke (塩漬け) or salt pickles is one of the easiest pickles to make. With shio-zuke, vegetables are salted first, then heavy object is placed upon vegetables. The pressure causes the vegetables to release liquids, and the vegetables are pickled in the brine. 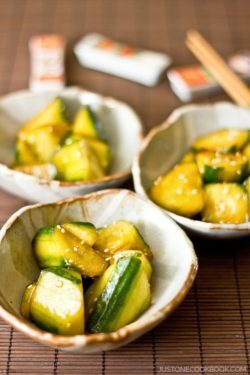 Making shio-zuke usually requires just a few hours; therefore it’s a popular pickles for home cooks. Keep in mind that asazuke typically needs to be consumed within 2-3 days as it’s pickled in very small amount of salt that’s not enough to keep it for a longer time without spoiling. What can I make into Tsukemono? There are quite a bit of ingredient options for making tsukemono. I personally like using vegetables like cabbage, napa cabbage, cucumbers, eggplants, daikon radish, turnips, gobo (burdock root), carrots, ginger and more. What I recommend is pickle 1 to 2 ingredients at a time. When I make my own vegetable tsukemono, I know it’s fresh and absolutely love the crispy texture! How much salt to add? My general rule of thumb for Asazuke is to add 2% of salt to the weight of vegetables. To make the calculation easy, remember 1 tsp. of salt is about 5 grams. That means you will need about 250 grams (1/2 lb) of vegetables. In case you don’t own a kitchen scale (I recommend to get a scale at home – a decent one is like $10-15. ), it’s roughly the weight of ½ small cabbage. 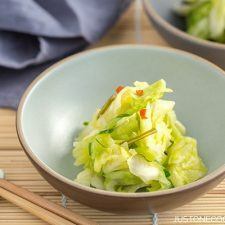 Of course each cabbage size is different, so I encourage you to find the weight of vegetables that you buy for this recipe. Discard the cabbage core and cut cabbage into 1-2” pieces. 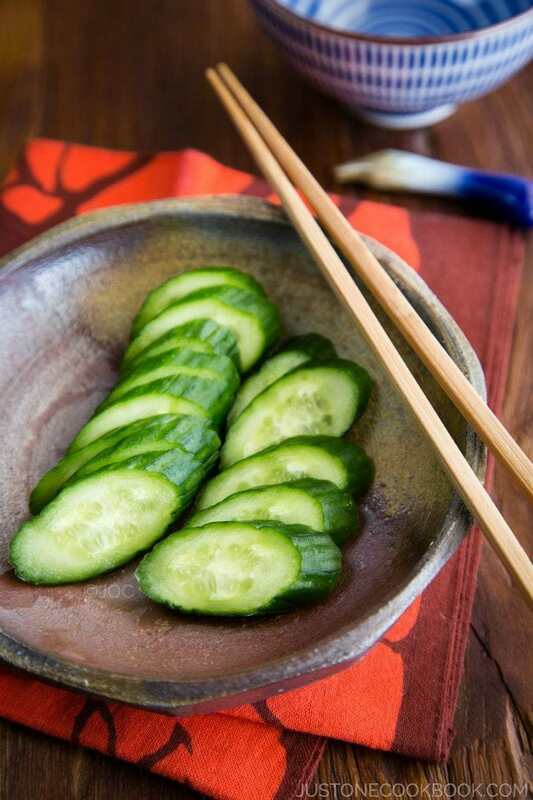 Cut cucumber in in half and peel. Then cut in half lengthwise and into thin slices diagonally. Remove seeds from the red chili (if you prefer less spicy) and cut into rounds. When handling the seeds, avoid touching with your bare hands/fingers. Toast kombu over open flame so that the kombu will become tender and easier to cut into thin strips. Put all the ingredients in the airtight plastic bag and add 1 ¼ tsp. kosher salt. Rub with hands until the cabbage softens. Remove the air and close the plastic bag tightly. 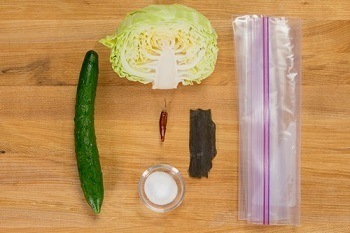 Place the bag under the heavy object and let it pickled in a cool place or in the fridge for 2-3 hours. Once the cabbage is pickled, take out and squeeze the excess liquid out. 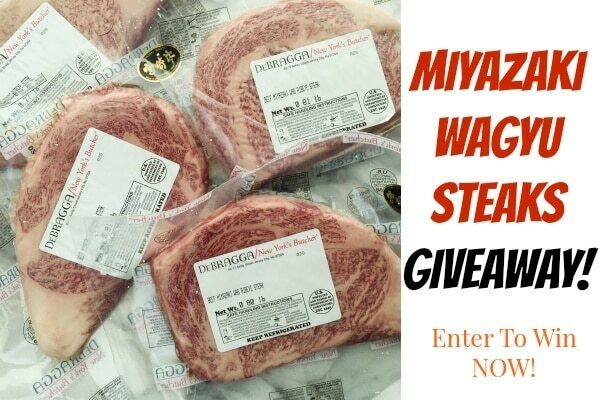 You can save it in the refrigerator up to 1-2 days. Sprinkle white sesame seeds and drizzle a little bit of soy sauce. Thank you for this recipe. 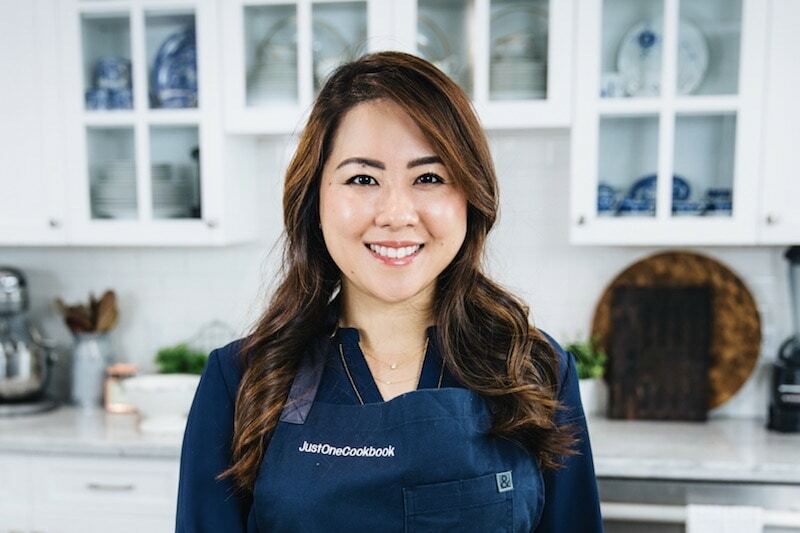 I have taken over cooking for my Japanese mother as she is getting older and I worried that she was getting careless and losing interest in cooking. I make pickles all the time for her and she asked me the other day how I make such good pickles. I told her that I just make them the same way she did when I was a child. She seemed surprised, but a bit pleased. I do enjoy the idea of eating something to cleanse the palate. And that formula for the salt is very practical. May pickle something soon! lovely, Nami. will use this. This is quick and easy! My kind of dish. And I’ll bet the flavor is outstanding. 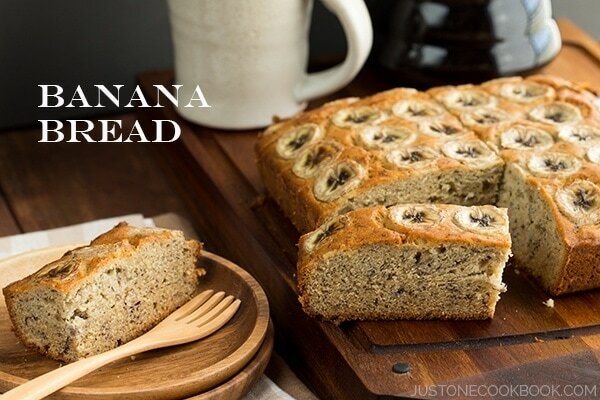 Really good recipe — definitely should try this. Thanks so much. My liitle daughter loves pickles, she will love this 🙂 Looks really good. I love to finish all the pickles when we eat at Japanese restaurants. Nice to know I can make it at home through your easy recipe. Thanks and hope you both feel much better soon, Nami! Oh Nami – I learned to eat Japanese ere most of you were born!! We were there multiple times a year and ‘had to behave’ – well, our business and livelihood was kind’of on line 🙂 ! This was always served to me and in spite of having been born in in NE Europe with all its ‘sauerkraut’ dishes – well the whole ‘thing’ was different! What an absolutely wonderful remembrance now and, yes, I am making it myself, and, yes, I shall check yours!! Hope you and the Master of the House all well by now 🙂 !! That pickled cabbage must taste really amazing and wonderfully fresh. Thanks so much for this great, simple recipe! I recently got a Japanese pickle press (the kind that is plastic with a spring loaded press) — do you think that could be used for this recipe (for the 2-3 hours under a heavy object part)? Thanks again, Nami! I love salad like this with clean aftertaste. 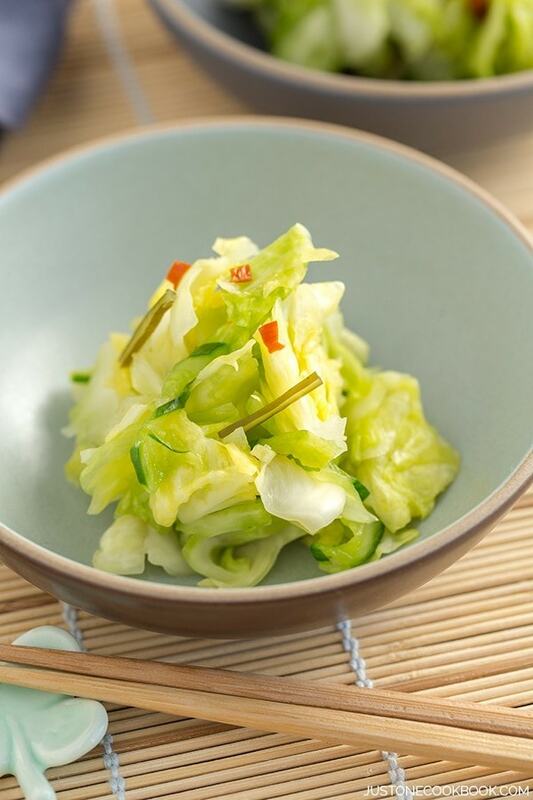 A wonderful way to pickle the cabbage and cucumber. Nice job, Nami! Mmmmm..it s bio,natural,vegetal,green….I like salads like that, really healthy and delicious! I made my own tsukemono for the first time! This recipe is wonderful. You make it so easy to follow and tastes great! My family enjoyed it. Thank you! Hi there Nami! 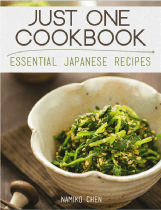 Do you need kombu to make this? I don’t have any on hand, would I be able to do without? I have a whole bunch of carrots I thought I could pickle today. This is just delicious and refreshing! Great recipe, Nami! Will make it soon. Thanks for sharing and have a great week ahead! Pickle vegetables are such a great refreshing bite. My mother was always pickling vegetables and I do it sometime, but not near as much as I would enjoy eating. I’ve never pickled cabbage so thanks for sharing this! It’s a could time of year to make it because I’m seeing some beautiful cabbage at the market! This sounds great Nami, Been looking for a recipe. All my friends that own or work in restaurants in the bay say they just buy it premade usually. Out of curiosity what is the difference between the traditional way of making tsukemono vs your quick way? 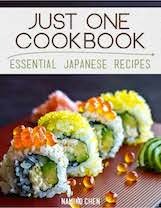 I’ll make this tomorrow. Do I squeeze the juices out and refrigerate for two days or let the veggies sit in the juices and squeeze out before using the next day? I like this. Very easy to follow. Personally I don’t need the soy sauce on my tsukemono though. Also, I know Nami is in America and that is the greatest country on earth, but I would prefer if she used the metric system because that is what we use in Japan and pretty much everywhere else in the world. Hi Joe! Yeah I don’t usually pour soy sauce, but I know many people who do it… I wonder if it’s regional thing in Japan? I’m out of kombu and won’t be able to get some more until two more week. What can I substitute in its place? I have nori sheets, wakame seaweed, and used kombu in the fridge. I would use the used kombu but since it’s used I’m afraid it might have lost its umami. I don’t know if umami on the kombu affects the flavor in tsukemono. Just made it! I have always loved tsukemono at restaurants and was pleased to learn how easy it is to make! I used a 10 oz. bag of shredded cabbage to make it even easier. It was pretty sticky/slimy/goopy when I squeezed out the liquid after letting it sit for 2 hours. Is this normal? Hi Kim! There are so many types of tsukemono, and the ones that I make at home is all quick pickle ones (“Asazuke”). I have it in the fridge right now pickling away, so we’ll see how it turns out (excited!). 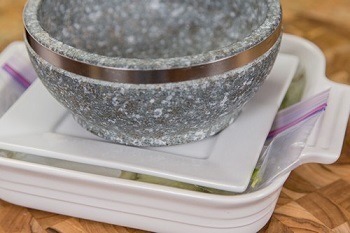 Question though…for the measurements by weight (I also have a small kitchen scale–how did I ever make do without it? ), did you weigh the cabbage after you removed the core or before? I imagine it would make a difference re: the amount of salt…? Thanks, Nami! It turned out GREAT. hi, really love this recipe : thank you. ) after i washed the cabbage, there is water, is that ok? How to soften the kombu if you dont have a gas burner? I have Kombu and want to put it in, could I soften it in the microwave for a few seconds? Kombu is not sold where I live; can I omit it? Way back when my grandma made Tsukemono she would add rice. But there was a sourness to the Tsukemono that I just can’t achieve. Hi Claire! Your grandma’s recipe is not a quick pickling (asazuke) like this recipe, and I assume she add nuka (rice bran)? How long can you store pickled cabbage? In your recipe you say it can be stored in the refrigerator for 1-2 days. However, I have read in other recipes that it can be store up to 1-2 months. In the other recipe they didn’t do anything differently so I was just wondering about the time gap. Hi Julia! No… Asazuke (quick pickling) can only last 2-3 days because you don’t ferment it, and it gets really salty if you keep it for a longer time. Maybe the recipes you found is meant to pickle for a fermented pickle version? 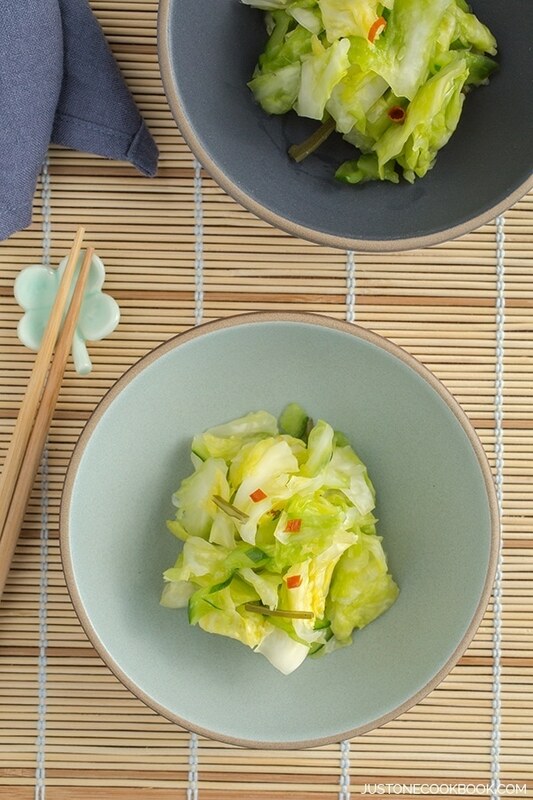 For the cabbage shiozuke, are you using the Dashi Kombu? Yes, I’m using kombu that’s for making dashi. Mine looks like these. Thank you for this recipe. My ex-mother-in-law was from Japan and made salted cabbage weighted down by a plate. This is it! She recently passed away and left us without any idea of how to make the dishes we had loved. I will save this one and pass it down to her great grandchildren. Could you post a recipe how to make shibazuke? I went to Kyoto and love this type of pickle! I adore your blog! So glad to get my hands on some Japanese pickles!! They were some of my favourite things when I visited Japan. I was wondering, if I don’t have a gas stove to dry the kombu, would you recommend another method? Or should it be ok to cut the kombu without this step? Thank you! Keep up the amazing work! Hi Alexandra! Thank you so much for your kind words, and I’m sorry for my late response here. You can skip the step – it’s just a “nice to have”. 🙂 Hope you enjoy! I am trying to use fewer plastic bags. What would be a good substitute for the plastic bags in your pickle recipes?